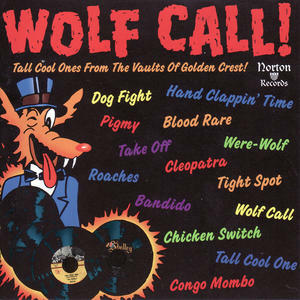 * Wolf Call! by Various Artists. Another fine Norton collection of greasy, sleazy rock 'n' roll and R&B from the late '50s and early '60s. This isn't quite as diverse as other Norton compilations like Mad Mike's Monsters or the I Hate CDs series. But he'll, plaster a picture of a stripper on the cover and you probably could pass this off as a new Las Vegas Grind volume. "Cleopatra" by The Precisions reminds me a lot of The Coasters, except the weird little Del Shannon organ seller in the middle. "I'm Buggin' Out Little Baby," is some good obscure rockabilly byDonny Lee Moore. "Let Your Love Light Shine" by The Kack-ties is raw, unfetterfed doo-wop. "Roaches" is early '60s soul, sounding like the Isley Brothers would have sounded had they been exterminators. The singer notes that the Civil Rights Bill has passed, but there's nothing in the bill that guarantees you a home free of roaches. "Bandito" by The Banditos has south- of-the-border rhythms and a corny, probably offensive to some, monologue between the "bandito" and a bartender. But the strangerst here is "The Beatle Song" by The Japanese Beatles. It puts the ethnic stereotypes in "Bandito" to shame. In fact, shame's a pretty good word here. 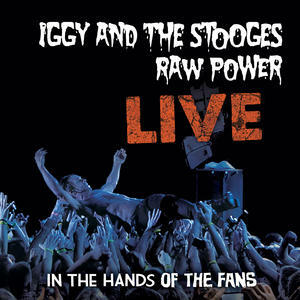 * Raw Power Live: In the Hands of the Fans by Iggy & The Stooges. I couldn't resist. This is one of those concerts where a band plays a classic album in its entirety decades later. Lou Reed got away with it on his recent live version of Berlin, so why not Iggy? The original Raw Power has been remixed, repackaged and regurgitated so many time it's hard to keep track. The 2010 version included a live disc from a 1973 concert in Atlanta featuring half of the Raw Power songs. But this new show, recorded last year at the All Tomorrow's Parties Festival in New York, featuring original Raw Power ax man James Williamson on guitar duties, is a welcome addition. Iggy and the other surviving original Stooges are in their mid 60s now (Bassist Mike Watt, who's been a Stooge on recent outings, is the baby of the group. He's only in his 50s.). Even so, they rock like young bucks half their age. 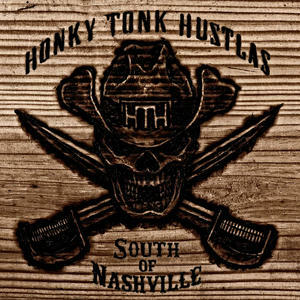 * South of Nashville by Honky Tonk Hustlas. When I first saw this band's name I feared it might be some crappy alt country/hip-hop fusion. But then I heard a song of theirs on Outlaw Radio Chicago and realized these guys sound a lot more like Wayne "The Train" than Cowboy Troy. The Hustlas come from Montgomery, Alabama. The core of the band is , T. Junior on lead vocals and rhythm guitar and Stemp on stand-up bass. The sound is acoustic-based traditional country with lots of fiddle, mandolin and dobro. 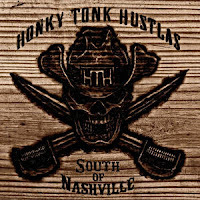 Even if country radio still played good country music they'd never play the HTH -- not only because of the occasional use of profanity, but because the lyrics to some of the songs are so dark. "My Worst Enemy," "Pray I Won't Wake Up" and even the upbeat "Never Gonna Quit" deal frankly with self-destructive urges. And the chilling "Death's Cold Sting" reminds me a lot of Hank Williams' "Alone and Forsaken" -- which wasn't exactly a big radio hit for Hank. So they're just going to have to make do with being played on shows like Outlaw Radio Chicago and, of course, The Santa Fe Opry. I hope to hear more from this band. 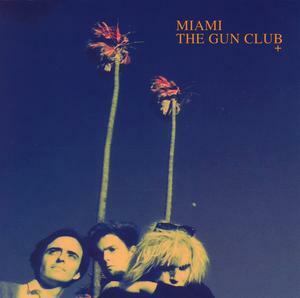 * Miami by The Gun Club. I confessed a couple of months ago when I downloaded their wonderful debut album Fire of Love that I'm just a newcomer to the glory that was The Gun Club. This is the second album. Some consider Miami to be a sophomore slump for Jeffrey Lee Pearce and the Club. But while it's true that it doesn't quite match Fire of Love, there's plenty to love here. Actually there's a song called "Fire of Love" here (it wasn't on the album of the same name.) It borrows liberally from Jody Reynolds' "Endless Sleep." Almost as powerful is "Like Calling Up Thunder" It's like a hoedown for maniacs (and Ward Dotson plays a guitar lick lifted from "Dixie" as Pearce sings, "Look away, look away ..."
Also there's a couple of great covers here. "John Hardy" is a wild cowpunk update of the the old outlaw ballad. But even better is the ferocious version of Creedence Clearwater Revivals' "Run Through the Jungle." This might even be more nightmarish than the original tune. 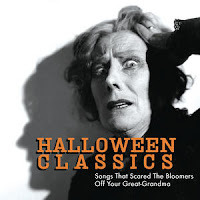 * Three songs from Halloween Classics: Songs That Scared The Bloomers Off Your Great Grandma: "The Skeleton In The Closet" by Putney Dandridge," "Minnie The Moocher At The Morgue" by Smiley Burnette and "Hush, Hush, Hush (Here Comes The Boogie Man" by Henry Hall. 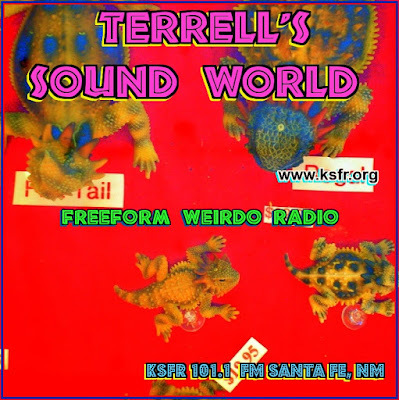 This is the second year in a row I hit up this fun collection for some Halloween material for my radio -- and this year my podcast -- Spooktaculars. I doubt if any of these novelty tunes from the 30s would scare the bloomers off anyone, even your great granny. But they're still lotsa fun. * "Ghoulman Confidential" by The Fleshtones. I used this one on the 2011 Big Enchilada Spooktacular also. This is the second "Ghoulman" song by The Fleshtones I'm aware of, the first being "Dance With the Ghoulman." Are there more?